French doors are delicate double-door installations used in home interiors to add aesthetic value to your space. They make for some dramatic interiors. Doors are often believed to be only utilitarian in nature. In truth, they bring some wonderful charm and character to your space. With a classy touch, French doors enhance the aesthetic beauty of your home. They come in a variety of styles to complement any form of home decor. Want to give your home a makeover with just one change? French doors it is. Here is how it enhances the look of your home. Bringing in light to a room is one of the ways French doors really shine. Added to that is the ventilation these doors facilitate. French doors allow maximum light flow and ventilation in your surrounding spaces. For the glass panels, you can pick between clear glass and frosted glass. During daytime, your house will get ample sunlight and fresh air. After dark, with lights on, the glass panels will give your house a luminous effect from the inside. French doors are the right choice when you need to add a ground floor level entry that allows you to easily bring large items into your house. Ever tried stuffing in a giant-sized sofa set through a standard sized front door? Then you definitely know what we’re talking about. These double doors will not only provide a wider entry, but will also make the surrounding areas look spacious. French doors are customizable in all aspects. Pick one according to what kind of entryway you fancy. French doors also come in a variety of materials like aluminum and PVC, besides the good old wood and iron combination. And you know what else? French doors can slide, pivot, and swing on hinges. So many options to pick from! French doors are also energy-efficient. If installed the right way, they keep drafts out of your home and reduce your electricity bill. The glass panels are also energy efficient as they reduce the need for lights inside the house during the day. Simple or intricate, French doors can cut energy costs. Since time immemorial, French doors are the number one choice for aesthetic and practical reasons. For a grander look, you can add curtains or lace drapes along the panels. Depending on the color of your French doors, make sure to use curtains or drapes in tones that create a beautiful contrast effect. 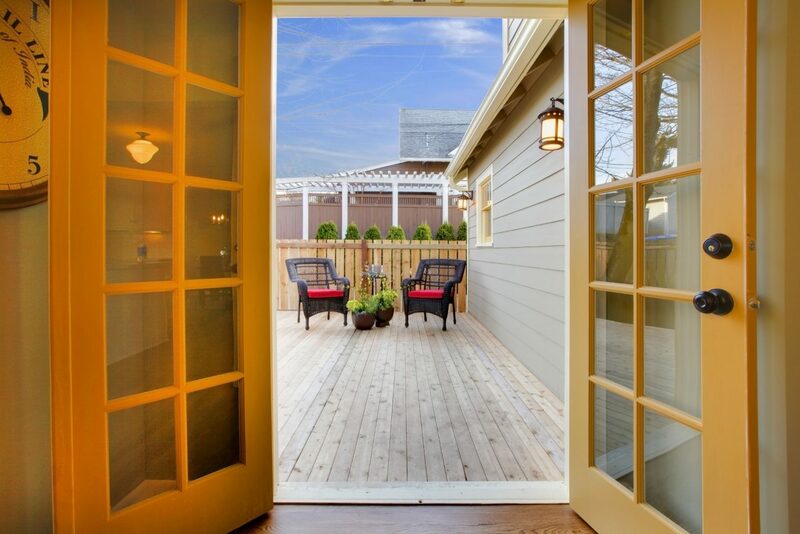 The addition of French doors to your space, small or large, will up the appearance and functionality of your house. French doors have an aesthetic appeal that achieves a timeless and elegant look, be it inside or outside the house. Previous articleWaste Not, Want Not!